The European GNSS Agency (GSA) unveiled its latest GNSS Market Report today (March 25, 2015) at the Munich Satellite Navigation Summit in Germany. The fourth and most comprehensive in a series of GSA studies, the 80-page report describes current and projected GNSS receiver sales by volume and value and highlights market opportunities, technology trends, and future developments of GNSS. Given its mission to promote use of Europe’s GNSS system and support European industry, the report has a not unexpected Galileo flavor. 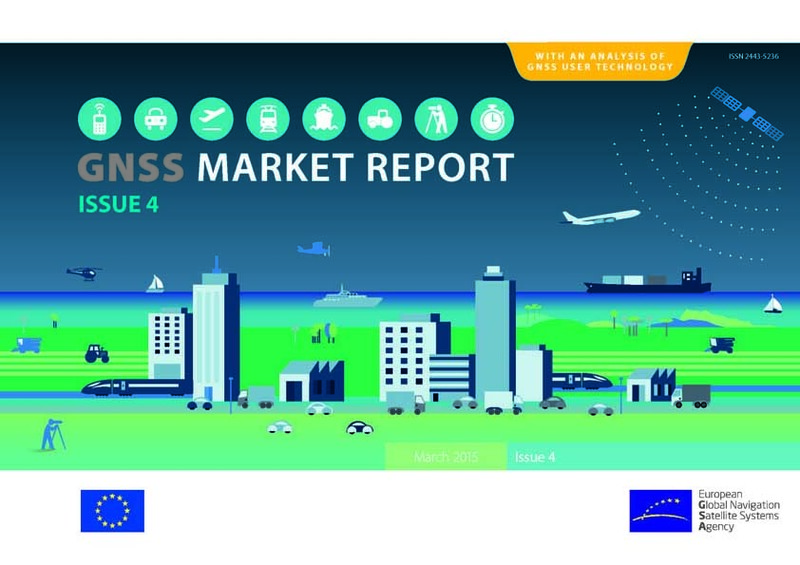 The GSA’s GNSS Market Report Issue 4 highlights the benefits that GNSS offers to Europe, including job creation and promoting innovation, and how GNSS contributes to Europe’s economy. But the rich accumulation of data and analysis covers the entire range of GNSS systems, technologies, and user equipment. 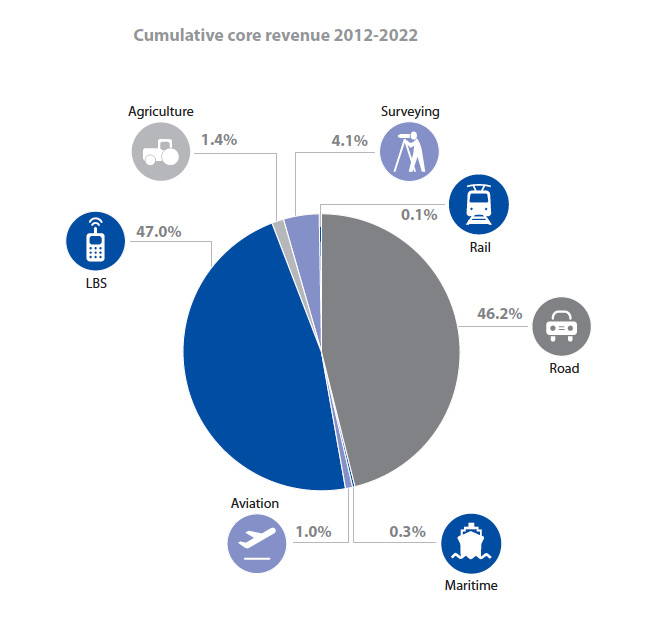 The report looks at eight key market segments: location-based services (LBS), road transportation, aviation, maritime, rail, agriculture, surveying and, for the first time, timing & synchronization. Overall, the report estimates that nearly 4 billion GNSS devices are in use worldwide and that the installed base will triple by 2023. The full 80-pages report can be downloaded free of charge at the GSA website, as well as by chapter of particular interest. Munich Summit attendees received an overview of the GNSS market report highlights from GSA Head of Market Development Gian Gherardo Calini during a dedicated session today, followed by a panel discussion featuring industry representatives moderated by Inside GNSS editor Glen Gibbons. Panel members representing particular market segments included STMicroelectronic’s Philippe Prats (road), Broadcom Corporation’s Frank Van Diggelen (LBS), European Business Aviation Association’s Belarmino Goncalves Paradela (aviation), 365FarmNet Group’s Klaus-Herbert Rolf (agriculture), and Furuno Electric’s Genta Shinohara (maritime). The report presents the results of analysis of more than 300 receiver and chipset models available on the global market in 2015. According to the GSA study, more than 60 percent of all available receivers support, at minimum, two constellations, and more than 20 percent support all four, showing that multi-constellation capability is becoming a standard feature in GNSS user equipment. The GSA asserted that the benefits of using multiple constellations support the adoption of Galileo, which is already present in almost 40 percent of GNSS receivers. Based on an analysis of nearly 900 companies engaged in the GNSS industry, the study calculated that U.S. enterprises received 31 percent of global GNSS revenues in 2012, followed by Japanese companies with 26 percent; Europe, 25.8 percent; China, 7 percent; South Korea, 5 percent; and other nations, 6 percent. In Europe, the GNSS market supports about 50,000 jobs in the downstream industry, and 3,000 in the upstream. In addition, 6 percent of European gross domestic product depends on GNSS, according to the GSA. 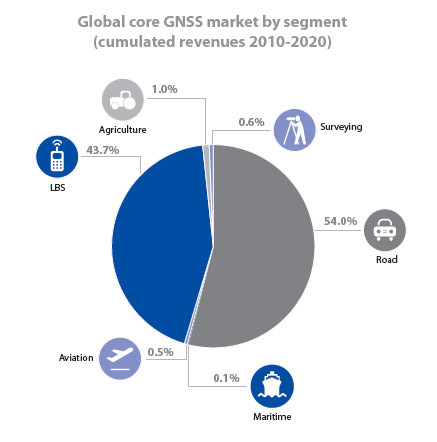 The market report projects that the GNSS market is expected to grow by 8.3 percent per year until 2019. The report also shows that European industry is the strongest in road, rail, and maritime segments, with European companies making the region the global leader in rail system integration. According to the GSA, the presented results come from the agency’s systematic Market Monitoring and Forecasting Process (MMFP), which includes the underlying market model. MMFP employs advanced forecasting techniques applied to a comprehensive range of input data, assumptions and scenarios to forecast the size of the GNSS market in the European Union, North America, and rest of the world (non-EU28 Europe, Asia-Pacific, Middle East and Africa, as well as South America and Caribbean regions). Additional insights came from the industry experts — consultancies London Economics, Helios, VVA, Egis, and FDC are mentioned, and “model results are cross-checked against the most recent market research reports published by independent sources, before being validated through an iterative consultation process with sector experts and stakeholders,” according to the GSA. • Smartphones are the most popular platform for accessing LBS. • LBS and the road segment currently generate most of the revenue for GNSS. • The GNSS market supports 53,000 jobs in Europe. • The primary region of growth will be Asia-Pacific, which is forecasted to grow from 1.7 billion to 4.2 billion devices by 2023. • The Middle East and Africa will grow at the fastest rate, 19 percent, but start from a lower base.